Clay soil is often cursed by gardeners but clay can be a wonderful thing. The Dirt on Dirt - Clay will teach you about clay soils, why you should love them, and how to make them even better. Soil comes in a whole array of types. The basic categories are clay, silt, loam and sand with constant variation within each of these classes. If you have silt or loam soils you are sitting pretty, gardening will be easy and you will love your soil. If you have clay or sandy soils it will take a bit more input from you before you love your soil. Trust me, you can love your clay or sandy soil, it just takes a bit of knowledge and a bit of elbow grease. How, exactly do you learn to love clay soil? Read on to learn more about what clay soil is, why you should be glad you have it and how you can make it even better. First things first, how do you know you have clay soil? Clay is often reddish in color, water usually is absorbed into clay more slowly, it has a tendency to dry slowly, to clump together (and not want to break apart), and to stick like mad to shoes and gardening implements. It will also tend to crust over and crack when it gets dry. Does this sound like the soil in your garden? Then you probably have clay soil. If you aren’t completely certain take a sample of your soil to your local garden center or Cooperative Extension office, they should be able to help you determine, for sure, if your soil is clay. First off what does it mean that you have clay soil? It means that the soil in your garden is composed of many tiny plate-like soil particles that can compact with time to form a hard, solid mass that makes shoveling difficult and digging holes a bit more laborious. Clay soils come in many types and it is always hard to know which kind you have without doing a soil test. Usually your local county extension service will help you in doing a basic soil test to let you know what particular type of clay soil you have. What’s good about clay soil & what’s bad about it? Let’s take a look at what a clay soil does for you, both the good and the bad. First the good parts: A clay soil provides a lot of wonderful things for your garden. First off clay soils are more fertile than many other soil types; each tiny clay particle is packed with places to hold on to water and fertilizer (soil specialists call this CEC or Cation Exchange Capacity, it just means that clay soil can hold a lot of nutrients whereas a sandy soil cannot). So clay soils can save you on watering and reduce the number of times you have to fertilize. This is very important and most gardeners in clay soil are happy to have clay, once they learn how best to garden in clay soil. Clay soils also provide a wonderful foundation for plants to get their roots into; a lot of perennials and annuals thrive in clay soils since they can get a firm grip on the soil with their roots. This firm grip allows them to survive extremes of temperature and moisture that plants in sandy soil cannot (with clay soil there is a minimum of heaving due to cycles of freezing and thawing, the plants are less likely to "jump" out of the ground). So with a clay soil you water less, fertilize less, get a better foundation for your plants and extend their hardiness when extremes in weather or other factors occur. I bet right now you are feeling a bit better about that clay soil you’ve been cursing! A few bad things: So, it is likely obvious that a heavy clay soil is going to be more work to till or shovel than a sandy soil. However, when you are planting a landscape most of the digging is only done once and then you get to reap all the benefits of clay soils for the rest of the life of the landscape. No doubt, a clay soil is heavier and more likely to compact than a sandy soil, but you do get a lot of benefits for your labor. A clay soil can get very mucky if it is too wet. If your clay soil is sticking to your shovel, stop working. The soil is too wet to work with and you will compound the common problems of clay soil by working with it while it is wet. Basically, your soil will be even more compacted after you are done digging. Clay soil has all those nooks and crannies to hold water and fertilizer, which is great. However, clay soils will hold tight to the bad things too, like salts. Ridding clay soil of extra salt build up or changing the pH of the soil will be more difficult due to the gripping ability of soil particles that make up clay soil. Clay soils latch on to all minerals and this can be good (fertilizer) and bad (salt). Should you have a problem clay soil, just know that it is generally a long term process to rehabilitate the soil but in the end, you will usually prevail. One last thing that might be a draw back to a clay soil is when you are in a boggy area, clay soils can limit the amount of air plant roots get when they are saturated, so if you have a boggy area select plants that tolerate this condition and watch out for plants that need lots of air around their roots when planting in clay soils. How to fertilize clay soils most effectively – One of the things we all need to learn is how to avoid wasting fertilizers as they eventually run off into our lakes, streams and groundwater if we use them thoughtlessly. Clay soils are great 'nutrient' banks, so you do not need to fertilize as much and you’ll still have a nice garden. When you are gardening in clay it is fine to use liquid fertilizers, granular fertilizer, slow release fertilizers, and organic fertilizers (like fish emulsion). Simply make sure that whatever fertilizer you choose, you use it responsibly. One of the biggest pollutants in our steams and lakes is the run off from lawns in urban area where gardeners are using excess fertilizer and water to try to get the perfect lawn, it is not worth the cost. Because clay soils hold on to fertilizers well you should use a light hand when applying fertilizer. Start out fertilizing at a slightly lower rate or waiting a bit longer than recommended between fertilizer applications. If the plants remain healthy and happy you are fertilizing often enough. If the leaves start to turn a yellow color you aren’t fertilizing quite enough. Armed with this knowledge you should fertilize a bit more often or at a slightly stronger rate. 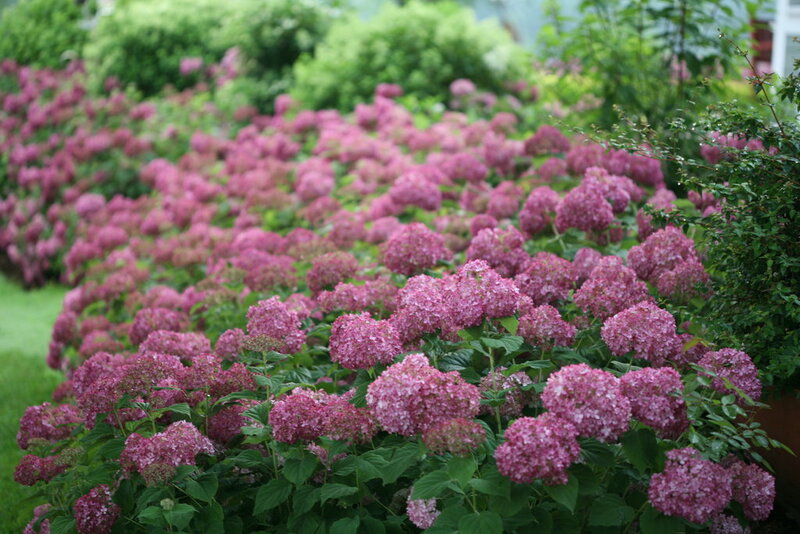 A bit of trial and error will tell you how often you need to fertilize with your specific soil. That clay soil just might save you money due to lower fertilizer costs. For more information on fertilizing click here. How to water clay soils most effectively – Watering is the biggest challenge most gardeners’ face and most people over-water their plants, it is the single biggest cause of plants dying. Clay soil tends to hold water for long periods of time, therefore, if your garden soil is made up of clay, you should be watering less frequently. Spots in your yard that stay wet almost constantly are a sure sign you need to cut back on the amount of water you are applying. Check with your local county extension service to see what recommended watering rates are in your town. Most landscapes and garden plants need to be watered just as plants are beginning to wilt a little, watering less frequently and more deeply will help develop deep root systems. Frequent light watering encourages shallow roots which will make plants less drought tolerant. The best way to water is deeply and infrequently (except for recently planted flowers and landscapes, these need water frequently to get established). If you have a sprinkler system, make sure to check and see that it is not over-watering on a regular basis, plants will get used to whatever watering cycle you give them, so plants that are regularly overwatered are more likely to collapse when the water isn’t there, the reverse is also true, plants that have to work just a little bit in between watering are tougher and more likely to handle short dry periods. For more on watering landscapes click here. Incorporating compost – tired of chipping away at a clay soil that is hard and heavy? Try mixing in organic matter (compost, straw, fine wood bark, peat moss). Adding these things to your soil will make it more difficult for the soil to clump together and harden. This is especially true around trees and shrubs. In the garden a good compost to soil percentage can make digging a breeze and reduce the most common problems associated with clay soils. Adding compost can also help, somewhat, with drainage, keeps the soil for compacting which can block water flow – resulting in soils that remain wet and boggy. The compost will also act as a slow release fertilizer (it will container nitrogen and other nutrients) and as an additional way to hold water for your growing plants! Click here to learn more about compost. Does digging up an entire flower bed and incorporating compost sound too daunting? While tackling an entire bed at once is the most efficient way of improving soils you can improve your soil a bit at a time. One method for accomplishing this would be too improve each little spot where you are planting a plant. To do this, dig a hole 2 to 3 times larger and deeper than what is necessary for the plant you are transplanting. Incorporate a healthy dose of compost by mixing it in with the soil you dug out of the hole. Fill some soil back into the hole, place your plant in the hole and then refill the rest of the hole with the compost enriched soil. While the surrounding soil isn't enhanced the new plant is happily ensconced in good, compost rich soil. Over several years you will gradually improve the soil in the entire bed. This is also an effective way of improving soil in existing, already planted beds. Mulching – Clay soils can tend to speed water runoff (water isn’t absorbed as quickly into clay soils as it is other soils) and certainly clay soils stick to the bottoms of your feet and make a mess when you go indoors. But you can solve these problems, and make the most of the positive properties of clay soil, by covering the exposed soil with a thick layer of tree bark, rough compost, shredded wood, or any of the other mulches available. By adding a layer of mulch to clay soil you not only can help keep the house clean, but can reduce the number of weed seeds that sprout (mulch will smother out weeds seeds that might try to germinate) and enhance the amount of moisture that your soil retains for better plant growth. Mulch will slow down water run-off allowing clay soil more time to absorb, and store, the water. A layer of mulch is also cooler than exposed soil so it helps to reduce temperatures overall in the garden. In general having a clay soil can be wonderful, IF you know what the strengths and weaknesses of that clay soil are and how to garden best in this type of environment. You expend a bit more energy getting things planted and preparing garden beds, but in the long run you’ll use less water and fertilizer than folks gardening in sandy soils AND most plants prefer some clay in the soil to help them get their roots established and improve their hardiness. 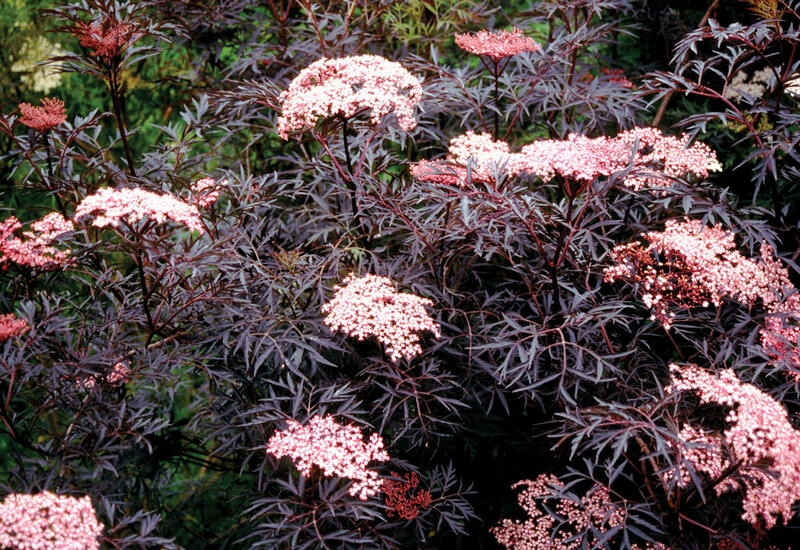 Learn about shrubs and annuals that are well suited for clay soils. 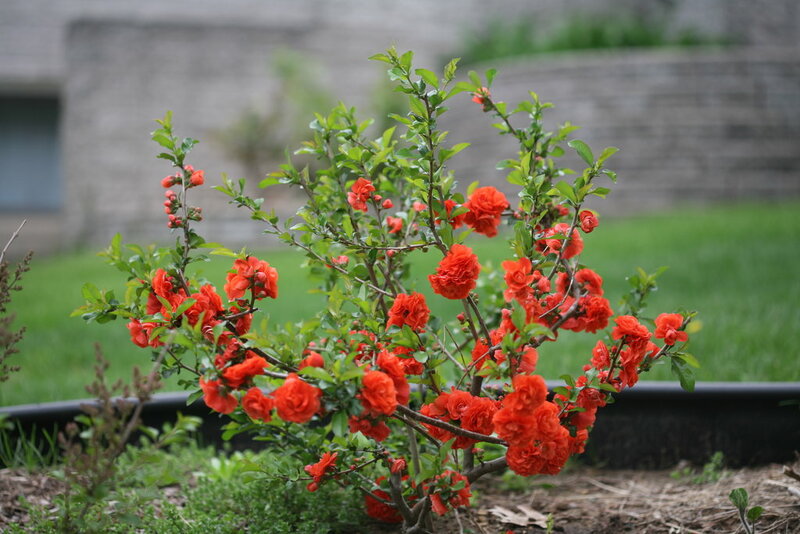 Learn about Growing Shrubs in Clay Soil. 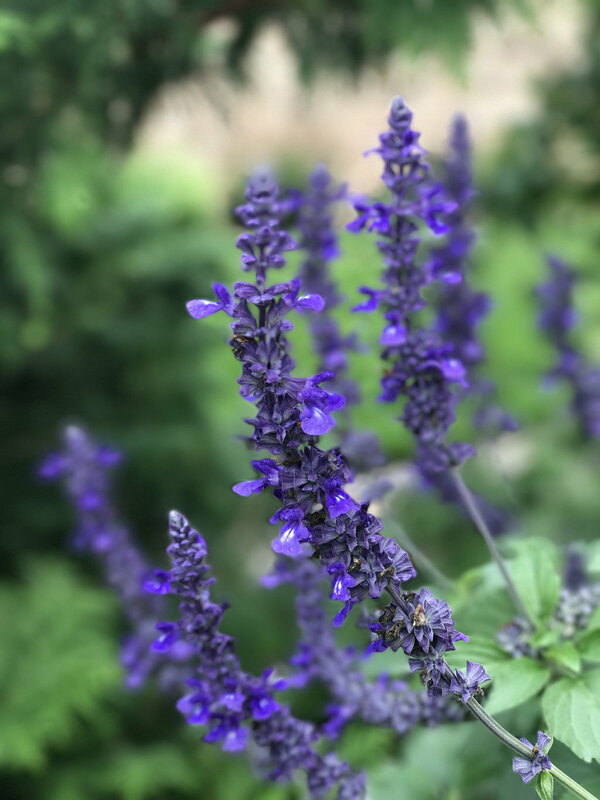 Check out our pinterest board on plants that do well in clay soil. Thank you for pointing out some positive points about clay soil. I was feeling doomed at our new home with the soil condition, but your article has inspired me to embrace the clay! Looked this up for a school assignment and it contained everything I need, very informative ! I have learned a lot through this article! Thanks for sharing! I am trying to weed my garden with Siberian iris'. The weeds are very invasive (dugh) with long deep roots. I have weeded about a 1/8 after making it muddy it was still taxing. Anyway I am trying a long soak and then I'll try to weed tonight. Is there a time frame for soaking a hard dirt/clay mix before weeding by hand. I have banana tree plants and they look sad and the leaves are turning brown around the edges. I was told that means they need water. How can I get my clay soil to absorb the water when I water them? So i am pretty sure I have a clay garden. It is in direct sunlight most of he day and when dry the soil is hard and compact and when watering unless I’m misting, the water will usually collect in little pools somewhere. Second, I have come to the conclusion that I am overwatering my plants especially my ghost peppers because the leaves are turning yellow and wrinkling so I read that they are pushing nitrates back into the soil to help the roots I am suffocating. Does this sound like clay to you and will some coffee grounds and mulch help my peppers? My graden is slightly graded on a 15-20 degree slope. I have habanero at the top of the slope (which are beginning to flower) and my ghost at the bottom. I also have Bell peppers, tomatoes, cucumbers, as well as basil, mint, dill, and cilantro. The peppers and smack in the middle and seem to be the only thing not thriving. Thanks for the help! I want to scatter wildflower seeds ( Cosmos variety) on my soil bed. It is very hard clay so I think I need to add some kind of sand, correct? Is there a specific sandy soil supplement I should use? This is my first year every having a house, I have never planted anything before. I can tell that the soil I have is full of clay. I did a drainage check by digging a 1 foot hole and filling it with water and it drained about 3 inches an hour, so I thought that I should have decent drainage. I just planted lilacs and did a very deep watering when I first planted them and covered it with mulch. Since then it seems as though none of the water has moved at all and the lilacs are not looking good. I was told that they may be transplant shock, but I think they have been drowning this whole time. I went to my home depot and someone told me to dig it up and mix the clay soil with sand and then re-plant. I was going to do that todaywhen I came across this and there was a comment that mixing sand and clay can make cement. I am wondering if I should go ahead and mix in the sand or if I should go back and try to find a compost to try to save my lilacs. Is there a way to just cover up clay? My house is on a heavily sloped lot, with the house off grade. I am in North Florida, so it gets hot in the summer (90-100 degrees), humidity between 70 and 100%, and a daily afternoon downpour that will drop 2-4 inches of water in an hour, disappear and leave it all to steam for hours (> 100% humidity). Winters get down to the tens, but spend most months in the 30-40s, with daily humidity 40-60%. My problem area is my front yard, immediately in front of my house. We used to have solid red clay with a 2-3" layer of topsoil above it and grass. Now it's just solid red clay. Four years ago we had a monsoon spring with rain 2-3x above normal and had sheets of water running down the slope every day. It essentially washed all of the topsoil away from the roots of the grass. Summer heat came and all the grass died. It's been bare clay ever since, ugly as sin (and it's not clay soil - it's south GA red clay and hard as a rock when dry and slick as ice when wet). My husband wants to get a truckfull of dirt and cover it up, but it's already higher than the immediate surrounding area (topsoil continues to erode from the edges) and I think it will just wash away again. What I would like to do is put down something like a thick coir mat that I can stake down into the clay, then cover it with a groundcover that doesn't mind wet roots, dry roots, and minimal roots. Up in the mountains I've found groundcovers growing on solid rock, and when you lift the edge it comes away in a thick mat and almost looks like it has air roots. A) would this work? What substrate and plants could accomplish this? B) is there a better way? I am a beginner gardener. Last year in my raised bed, I filled with top soil, then added the soil from containers. Obviously not thinking. My soil is now clay. Question is if I should dig it all out, or amend it and use this summer. You did not create clay. The soil was clay to begin with. It takes about 3 times more top soil than clay to loosen clay. You can remove it but it is expensive because you need to rent a receptacle from someone who will haul it away. Remove it to about 18 inches. Replace with loam. Or, you can plant plants that like to grow in clay. Another alternative is to mix it with 1/4 pea gravel to 1 part clay . Pea gravel creates different sized air pockets in the soil so water drains and evaporates more rapidly. Laval rock also works. The particles should be many different sizes. Mixing with sand or decomposed gravel creates concrete unless it is 60% sand and 40% clay. Soil is mineral based. There are many who feel that mixing in organic matter into clay holds more water in the soil. In nature, mulch is on top of soil. The soil is improved by microscopic organisms in different layers of the soil decomposing the mulch. Check out the the Laguna Hills Nursery web-site to get more information on mineral based soil. Hey there - OK so heavy soil isn't necessarily a bad thing in raised beds, clay soil also holds more water so the moisture level in the soil stays more even all season. I would just amend with a lot of good organic matter/compost and dig the soil well to about a depth of 8-10 inches, I think you'll be fine! Help this novice grow a lawn! My backyard was dug up last summer when we had our pool installed. By that fall, I had managed to get some bermuda grass seed to take but the majority of the lawn remains exposed soil. I realize I'm no green thumb but I am willing to learn! It's finding the time that is tough. Regardless, I'm willing to put in the work upfront if it means lower maintenance later on. I have a two and five year old and can't wait for our first full summer with a pool! My concern is how to make sure I have a lawn to match the pool. We have red clay soil in South Carolina and I'm referring to an area that is at least 2500-3000 square feet. OK so you are in South Carolina, looking to establish a lawn on about 3,000 sq ft of red clay soil. We're not really lawn experts, more the flowers and shrubs folks, but let's see what we can do. 1. The first thing you need to do is contact your local County Cooperative Extension Office and learn what they can tell you. The link to their website is: http://www.clemson.edu/extension. You can find your county office location and also there is a link to publications, so you can search on turf and turf grass, or lawn related articles to find the best grass types, and how to information. They may even be able to send an agent out to help you access what needs to be done to get the best lawn possible. However some counties have the staff for this and others don't - but it never hurts to check. 2. You will likely be needing to get sod rather than seed if you want a lawn in time for summer. So another thing you can do is check to see what kinds of sod you have available locally. Check your local garden center and Lowe's or Home Depot type stores and find out what they stock. When you are ready they can order the sod you need as a fresh new shipment, never use old sod as it tends to never really grow very well later on. Also if you can put sod down while the temperatures are still cool it establishes quicker and takes less water to begin to grow. 3. 2-3,000 sq ft - are you going to put in sprinklers to water the grass or not? If so you need to have that done before you get the lawn planted. Best of luck!! and enjoy the pool! I live in the Dallas area of Texas. I'm having trouble finding clay soil to create berms. Do you know of any retailers who sell clay soil? Unfortunately, I don't know the answer to your question. I think google is going to be your best friend here. The other option is to use our Find a Retailer search - https://www.provenwinners.com/retailers/locate, to find local garden centers. Call and ask them if they have what you need. If they don't have it, ask if they have any suggestions on where to find it. Good luck. Finding a soil high in clay can be very difficult because of the shipping costs. You best bet is to look for a local soil high in clay and then mix a commercial potting mix with the soil. Usually 1/3 clay soil to 2/3 potting mix is enough to give you the benefits of both soil types. I hope this helps! I brought a garden back from the dead last summer, and managed to get some plants established. With the exception of the lawns, every inch of ground was covered with plastic sheeting and lava rock or redwood chips with only circles of open ground for some long-departed plants. It had been in this condition for 10 years, when the elderly owner of the property became too frail to garden much and just wanted to control the weeds. When I pulled up the plastic, all I found was sterile clay—not even an earthworm or a fungus—that was hard as a rock from years of desiccation. There are two primary beds in the back yard that I was able to dig down to about 10 inches. I removed much of the soil and mixed a composted amendment (commercial) into the remainder in order to loosen the soil and reintroduce lost microflora. I then planted a variety of sub-shrubs and hardy annuals, along with a Butterfly Bush. It has taken me a while to get used to the watering needs. I know that the clay soil is going to retain more water, so I tried not to water too much. However, the summers here have been brutal—drought and triple-digit temps—so I had to water just to keep things alive. I lost some things to root rot, so clearly, I watered too much. This year, I have been watering less, so have suffered fewer losses. Problem now is that some of the plants are showing signs of stress (yellowing, droopy, "sad" looking), with the Butterfly Bush having symptoms of iron chlorosis (leaves yellowing but vein areas still green, stunted flower spikes). The surface of the beds look depleted (gray) and become hard between waterings, though still take up water okay. Again, we've had a blistering summer, so I have had to water more just to keep things from wilting. I checked the depth of water uptake, and though the water does not stand, it too often it seems to not reach the root zone, even with a long slow soak. The ground is level, so no run-off. An exploratory dig around a moribund Dianthus showed the soil clumping hard to the roots, and the organic amendment laid in last year seems to have decayed away (as expected). I think the roots need air. I'm thinking that the soil needs to be loosened, maybe even amended again, but how can I do this around established plants without damaging their roots? Given where this soil came from (vernal river flooding deposits from granite and volcanic sources upstream), it probably contains plenty of iron, but how do I make it available to the Butterfly Bush whose roots have probably reached the limit of my dig? I was able to dig down about 12-14" for this shrub before I came to a point where it was too difficult to continue (almost hard pan). The Butterfly Bush probably isn't getting sufficient drainage. Is there a way that I can improve that situation without harming its roots or digging it up entirely? Note: Insects are not the cause of my problems. I don't fertilize much except with some commercial organic compost-based liquid fertilizer and my own compost for slower release of nutrients. I try to let Nature take care of things as much as practicable. The soil is definitely better...but still not good. At least I have some earthworms now! OK so clay soil such as you are describing is a tough fix, no doubt. About the only way to soften things up and get some air down to the roots is to break up the soil by digging as you have been doing and it mix in organic mulches as much as possible. Seems like you know all of this already, so I won't bore you by repeating it - however - there are a couple tools you might be able to use to make things easier! 2. Mulch, mulch and more mulch - I can't tell from your posting where you are located but a thick -up to 6" layer - of mulch kept constantly renewed will help hold water in your clay soil and reduce the amount of watering you need to do. As the mulch breaks downs it is easily incorporated into the soil each time you dig a hold for a new plant. Also the thin layer of compost that forms between the top of the soil and the bottom of the mulch can help hold nutrients and micronutrients that the plants need (like iron) which it sounds like (from your description) they are not getting enough of. Making a clay soil garden is a slow process, but it sounds like you are making progress! Another thing to try is making mulch free zones where you can plant easy to grow seed like marigolds and zinnias - these annual plants will also help break up the soil as their roots penetrated down and into the soil. Over time their roots will also help to break up the clay in the top 3-4" of the garden. So collect or get some seed plants started, and next year you can plant a shrub into that area and it will be a bit more prepared for supporting new plants. I hope this helps and happy gardening! I live in Athens, Texas where we've experienced a very warm spring and summer with a great deal of rain. At my father in-laws home, he and his wife of 60 years this November, planted most of the tree's they have on their property except for three beautiful Pin Oak trees. 2 in front and 1 on the side. As they keep their yard beautiful, over the past year, the grass surrounding the 3 Oak trees has disappeared. Already, we've tried replanting St. Augustine grass. However, as I am not an expert as my father in law is when it comes to maintenance, we have failed at growing any kind of grass and the soil is quickly turning to sand. Most recently, we noticed that there were a lot of leaves to rake, but only around these 3 Oak trees and covered in brown spots. We've heard of Tubakia, a fungal infection of the tree and how to control it and I was wondering if this may be the cause of the bad soil and lack of growth in the yard or if there was something else that could cause this issues. Any and all information, advice, is greatly appreciated. Thank you for your time. Sincerely, Lost in Oak, Athens, Texas. OK so it sounds like the real problem here is that you have succeeded too well! Pin Oak only begin dropping their leaves as they mature, I am guessing your trees have gotten old enough that they have begun to drop rather hold leaves. If you do not see any disease problems on your trees, likely they are healthy, and since they have grown so well over time my guess is that they are just getting older and as healthy trees have begun to drop more of their leaves as they mature. The loss of grass and growth underneath would also be a natural result of an expanding and healthy canopy of leaves overhead. There is not a lot of turf grass that will tolerate deep shade, so as the tree shades more and more area, the grass beneath dies out. The simple solution to covering the bare ground is to either cover it with mulch or a ground cover cloth (water permeable) and then a layer of crushed granite. This will keep that shady area free of weeds but still allow water to penetrate around the roots of the tree and keep it growing strong. I planted two trees several yards apart. One is doing well, the other gets yellow leaves and the water pools on the top without draining down deep in the soil. I am affraid the roots aren't getting enough of the water. Any suggestions? OK so it sounds like you definitely have a problem with drainage on the plant that is losing leaves, there are a couple ways to help with that. 1. 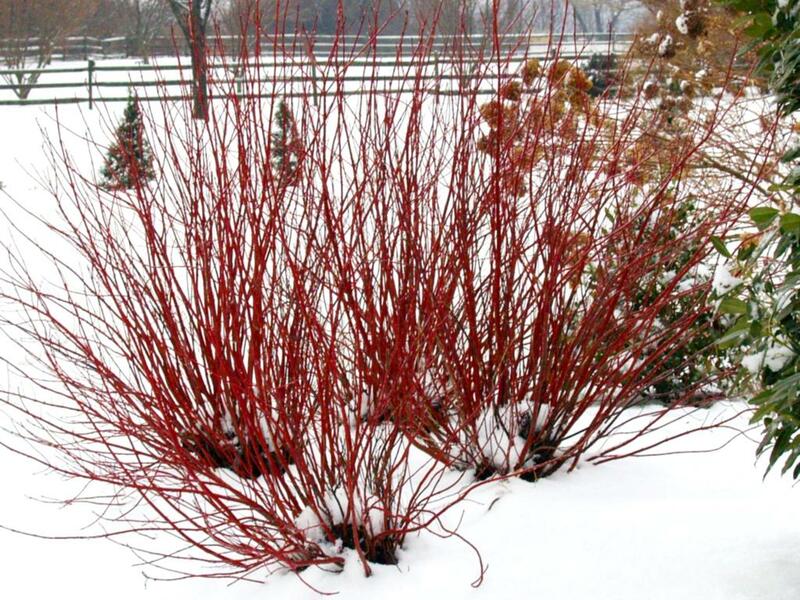 Dig up the tree and replant it but place it about 2-3" above the surrounding soil so that is sits on a mound. 2. Dig a series of holes or a trench on the low side of the tree and fill them with a ground cover cloth (soil barrier) and then with gravel - these act as drains and help move water away from the tree. I hope this helps and you can save your Mulberry tree! I am working on my front lawn and have clay soil. I need to put down grass as it has none. Can I till in mulch to help the clay soil or do I need to put a layer of "dirt" for the grass to properly grow and root deep enough to last? I am concerned that the soil will not allow the grass to take root and the grass will just float on top of the clay then die. OK so either of the two options you bring up should work, although tilling in some compost sounds like, overall ,the better way to go. Better integration of all the parts, so to speak. Make sure the sod/grass is pressed into the new area very tightly (most commonly this is done with a sod roller) and then keep it moist at ALL times for about a week, then you can being to reduce watering, but really this whole summer you should try not to let things get too dry. The key thing with your new trees is constant moisture, this will do more for success in your new landscape than anything else. Depending on the type/size of trees you decide to start with and how hot or windy the weather is the first couple weeks after planting can be watering everyday, so plan for it. Trees are an investment, not just money but also beauty and shade that grow more valuable every year. My new raised garden beds are holding too much water,to the point that about a foot down it's mud!What can I do so my garden will be a success? There are a few possible culprits as to why you don't have adequate drainage. The first is that you might have a layer of clay below your raised beds. This can be remedied by adding a layer of rock or gravel above the clay and then put your soil over the rock. If you had someone install your beds, they might have put down a plastic tarp that is meant to prevent weeds but also can prevents drainage. Hope this helps! Happy Gardening! We just planted two Chinese Pestache trees in our backyard about 20 feet apart. The ground is solid red clay. One of the trees is doing great. It's water soaks into the ground quickly and is green and thriving. The other tree is not doing well. The water just stands and won't soak in. The leaves are dry and crunchy and are starting to fall off. Our local landscaper said to water it more but it has bookoos of water! PLEASE HELP! It sounds like your clay soil isn't really allowing the water to perclate into the soil. While disturbing the soil so shortly after planting isn't ideal I think that is what you are going to have to do. Find some compost and work it carefully into the soil around that tree. The compost will add air space and allow water to soak into the soil better. Organic matter added to the soil is really the only optioin to really improve clay soils. To be honest, it doesn't sound like the soil you have available to you is all that well suited for anything. The clay and rock will present a lot of difficulty for plants and trees of nearly any kind to establish; but there's hope! Depending on what it is that you'd like to accomplish, trees will most likely grow fine there but not at a young age. I personally grow everything out of raised beds because it gives me the ability to control the soil as well as be creative during the building process. You could build a bed in an area where you'd want your tree without a bottom and the walls would retain the soil of your choosing. Over time as your sapling grows, the roots will grow strong and healthy, eventually being able to pierce through the rocky-clay soil beneath. You could then choose to remove the walls and rake the soil out or leave them for decorative purposes. Hope that this was helpful and good luck! I live in Illinois and my soil isn't red, but I'm told it has a lot of clay in it. I planted zinnia's for the first time this year ....I'm watering twice a day as they start to get "wimpy" toward late afternoon. The soil looks hard and cracked. When I take a hand spade to it there is a "crust" on top and the dirt below is very dry. I think the water is just drying off the surface and not making it down to the root. The flowers have been in the ground about 3 weeks now. Should they already be established?? I've loosened the dirt around each plant two times now...but the dirt just hardens after I water. Also....dusty miller, which usually grow easily for me...aren't getting any bigger. I've fertilized one time. Any help???? Thank you. My Zone 7 heavy clay is kind of rust colored, but I had a delivery of light brown topsoil a couple of years ago that had the unfortunate texture of (bleached?) clay. The part of my yard which has not been enriched with leaf mulch is exactly what you describe except that there are an enormous number of large and small rocks and fragments of rocks. Plants do need time to adjust to new surroundings, and rumor has it that more plants die from being drowned than anything else. Do you know if you have acidic or alkaline soil? -or which these plants prefer? It sounds as though you have aerated the soil around the plants, but maybe you need to go deeper and wider? If nothing else, I recommend mulching the top of the soil around the plants and cut back on the watering. Pine bark is my preferred variety. I like to mix just a little mulch and/or perlite into the soil before I set the plants. Other people swear by vermiculite, instead. Whichever you choose, do make sure you tamp the soil down to eliminate air pockets where water can pool under the surface and contaminate the roots. I have successfully grown dusty miller (and all sorts of other plants and shrubs) using these methods, which is not to say I don't ever lose any. Happy gardening! Apply a layer of shredded wood or some other wood mulch product. It should be at least 3-5" deep between plants and only 1/2" deep where the plant goes into the soil. This thick layer of mulch will help slow the loss of water from your soil (this is what forms that crust on top) it also gives you a slow moisture to help water penetrate deeper with each watering, and finally also helps control weeds that might seed into your flower beds. On how long it takes to establish annuals, three weeks should be plenty of time if they are getting enough moisture. Your fertilizer once in three weeks should also be fine - if the fertilizer was applied as a granular or slow release fertilizer under the mulch this would also help to retain that fertilizer and make it last longer. I hope this helps and let us know if you have more questions. Another place to check for more information would be the Illinois Cooperative Extension office in your county. You can find your county office at this website. This is the beginning of the second year I have lived in this home. Because we had a lot of rain this year in Indiana I have an erosion issue in the back of my home and I live on a slight incline. We have tried topsoil and it seems that washed away and I was wondering what are not clay soil would help mix with some mulch and organic soil. I need some suggestions ask you how the control the erosion. The soil underneath is hard and has lots of small rocks. I am able to grow grass and to use the weed and feed it's just this one small area that seems to be getting consistently worse over time. Do you have any suggestions for me? I would appreciate any advice. Thank you. OK so on this erosion problem, one of the best way to help control erosion is to use the mulch just as you thought. A lot depends on how much water is passing through the area during an average rain? If it is flooding through, mulch may not be enough and it might require either a stone retention wall or a planting of shrubs across the area to help hold the soil in. Think of it like this: IF erosion is not a stream of water moving through, then mulch (4-5" thick) is likely good enough to hold and slow that water so it doesn't eat away at the soil. IF the water moving through is like a temporary stream, then you need a more permanent solution, like the rock barrier or wall, planting shrubs is a long term solution and will not immediately solve the stream of water. In a few years those shrubs will hold the soil in place and also help soak up that water before it causes more problems. I hope this helps and have a great week! I was surprised to learn that with clay soils you you end up watering less than with sand soils. With the changes in weather that I have I think this soil type will also help to extend my plants hardiness. When I'm doing the landscaping for my yard I will consider using clay soil. Clay soil certainly has some benefits. The drawback is that clay soils can be slow to drain which causes it's own issues. The best soil is a good loam. So if you are going to purchase soil, look for a loamy soil which has the best of both worlds, good drainage, but with good capacity to hold water - basically the perfect middle ground. I live in Oklahoma, I have dug up my garden and now all I have are hard clumps. I have put in 3 bags of compost 3 bags of topsoil and it's still a rock hard clay Garden what to do? I am imagining you with clods of clay mixed in compost/ topsoil and scratching your head, I completely understand this kind of upgrading of your soil takes time. You'll need to add compost/top soil yearly and it may take as many as five years to really get a good garden built up. Remember 'top soil' is compost mixed with sand or local soil, so you'll get faster results if you add only compost (the extra ingredients don't help as quickly) sometimes your local utility service will give away shredded composted wood and that can be a less costly way to get enough compost quickly. It takes a LOT of compost to counteract clay soil, think in terms of wheelbarrow loads and not just bags, it may take up to 20 bags of topsoil to really help (depending on the area you are trying to amend. Also see if you can find Gypsum at your local garden center, gypsum acts to keep clay soil from sticking together and helps mix it in with your compost so it mixes much more easily. Don't give up - it is worth it! Hi I'm located in Richmond Va and we are in need of some assistance. We have what I would call a clay soil based on very thing I've read and we have been unable to successfully grow and maintain a lawn. Our front yard is approx 5000 sf and half is full sun and half is shade. For the last five years we have either rototilled or aerated the lawn, applied lime, fertilizer and seeded usually in March. Usually the grass starts to grow and then dies. Our most successful attempt took place when we rototilled the yard we had a good amount of grass grow however eventually it died, Funny thing is weeds and moss grow real well in the yard. 1. Contact your local county cooperative extension service, they can walk you through the steps to figuring this problem out and they are local so they provide information specific to your region. Here is the link, just go to your county and then look for information on home gardening. They will be able to help. 2. Contact a local landscape service or garden center and see if they can help. Sorry but how to get a good lawn growing, isn't really anything we can help to much with, it is fairly specialized information. We want you to succeed - so I really recommend contacting your extension service. I live in Denver & dirt here is clay need lot of water. One of my friend suggested to mix sand. Last year, I used Miracle grow garden soil & also garden dirt mix but it did not work. Any suggestion? OK so you are in Denver, I used to garden there, well there and Fort Collins so I know your soils pretty well. In order to counter dense clay soils you need a LOT of compost, if you just add sand it can also turn the clay into cement, so compost is easier and more likely to succeed. A regular potting soil is a bit too fine and it can disappear into a clay soil very quickly. Ideally you want something a bit like mulch, but more aged. A1 organics is in Commerce City uses manure and wood products to make a compost that would likely work (http://www.a1organics.com/PDF/A1Brochure.pdf) but you may need to buy it by the truckload (call & check, they may even deliver), otherwise I would call and see what options you have at some of your local garden centers, there are some wonderful places in Denver area. Paulino's (http://www.paulinogardens.com) Echters (http://www.echters.com) or any of the other garden centers. They would be selling it by the bag is you have a smaller project. Research has shown that for perennials and shrubs digging a hole twice as large as the root ball of the plant you are planting and mixing compost with the soil that came out of the hole is just as good for getting a strong garden as working the whole area you are planting with a rototiller. However all that depends on what you are planting, if it is a vegetable garden or a big flower bed of annuals and perennials, you might be better off with the rototiller. I hope this helps and have a great spring! Showing 1 - 50 of 79.